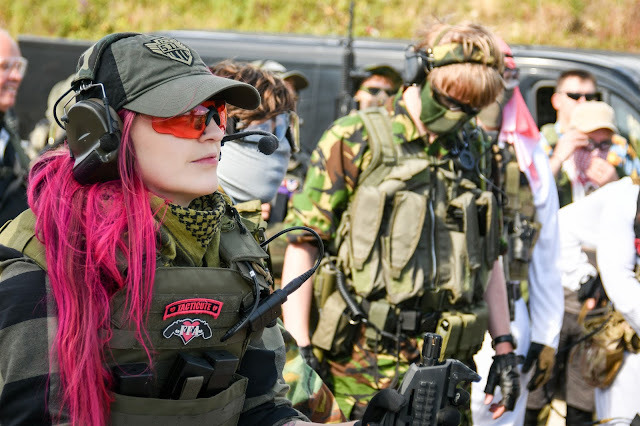 So in 2018 I will be doing a fair amount of MilSims and weekender games, which means I’ve had to purchase a load of new outdoors/camping gear ready for these adventures and I figured that some of you will be in the same boat, so I thought, why not throw in some reviews on this kit to shake it up! 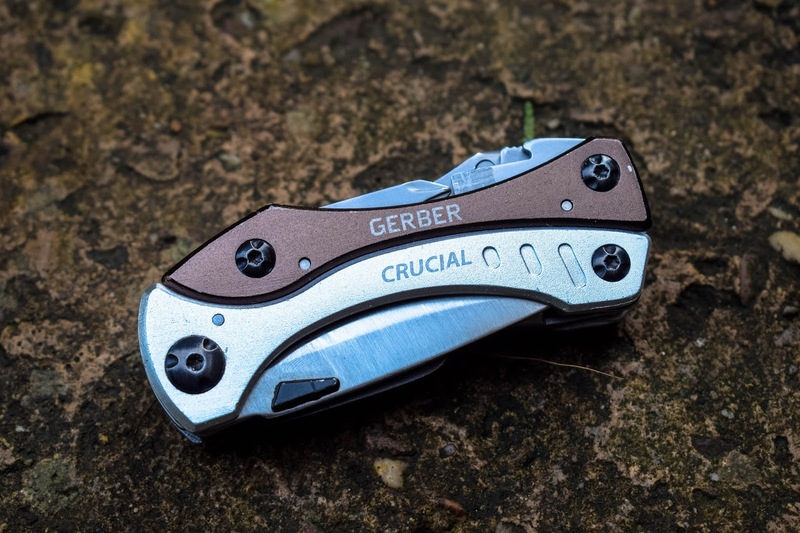 Today we’re going to look at the MultiTool that’s been in my kit bag as my go-to for the last 12 months - the Gerber Crucial. 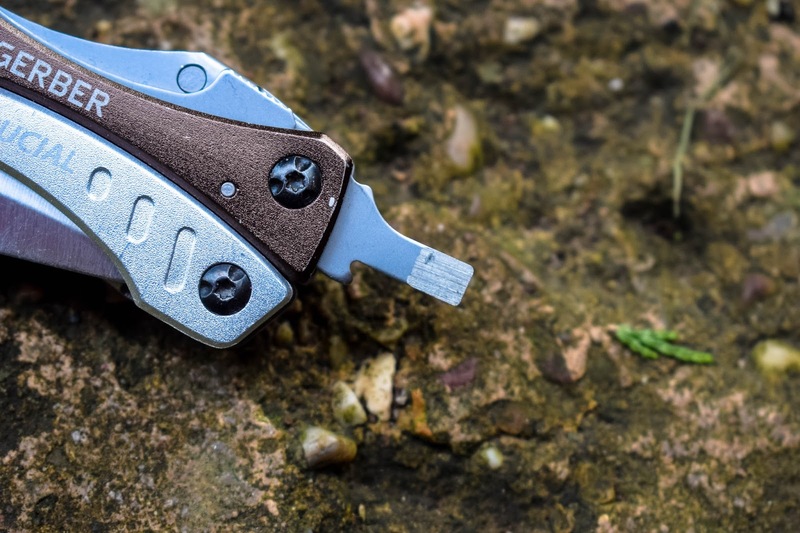 It's a neat, compact multitool that folds away to be a fun-size toolbox of full-sized components in one rugged stainless steel package. 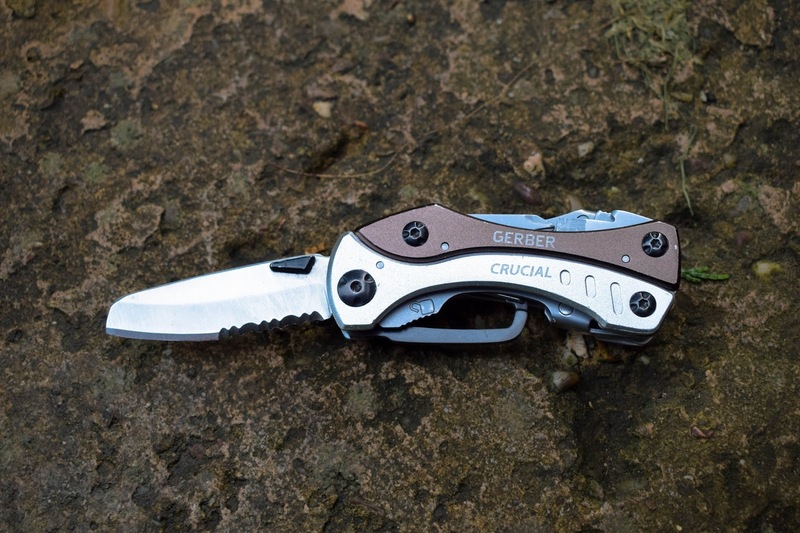 As its name suggests, it gives you the crucial tools - it has a clip to conveniently attach it to a belt etc, a bottle opener, V-cut wire cutters/pliers, a flat head screwdriver, a knife and a Phillips head screwdriver that all lock into place with the exception of the clip. 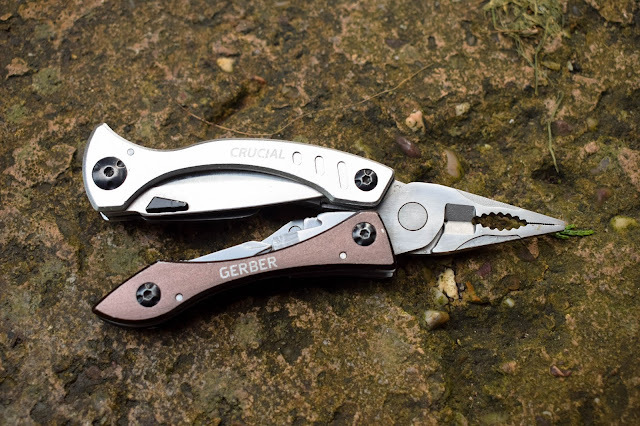 Let’s first talk about the tools - the screwdriver heads both lock into place, the pliers have ergonomically curved handles for a better grip and more torque when needed. 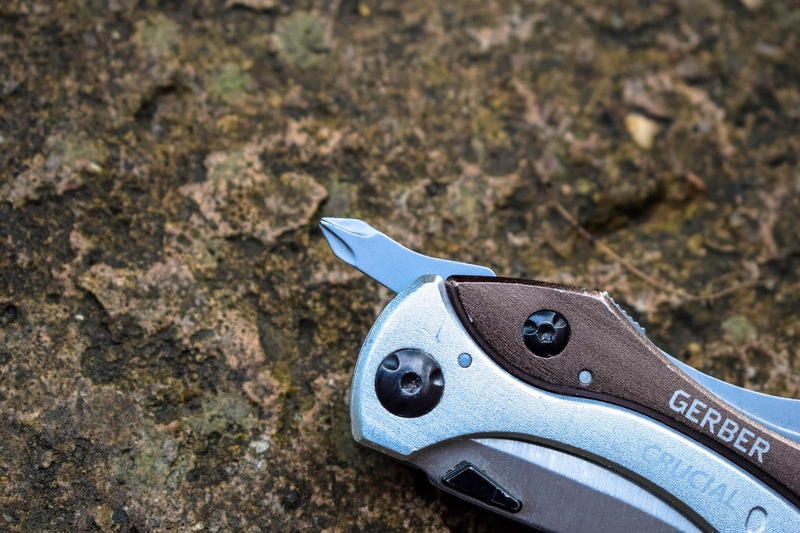 The liner-locking blade comprises a half fine and half serrated edge for multiple uses and it has a plastic thumb stud which makes it easier to release. As it measures in at just 3.6” closed length and weighs in at just 5 oz it can be carried as a lightweight everyday tool. 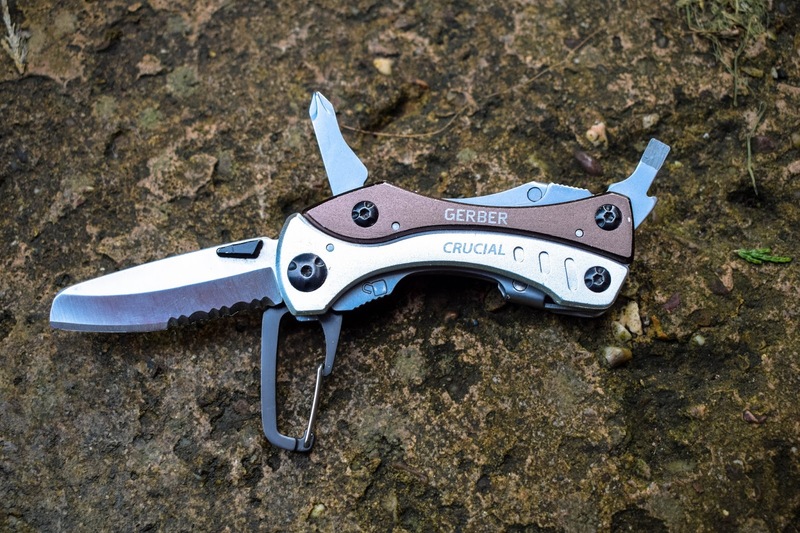 It also comes with a lifetime warranty from Gerber. What I like about the Gerber Crucial is its clean look, the two-tone stainless steel is a great colour scheme and overall it is very aesthetically pleasing. As it is compact and lightweight as well, it means I can carry it in my kit bag, backpack or on my battle belt (with or without a carabiner) just as I would a regular pocket knife and it has the essential tools. This tool mainly comes into play when I have screws on attachments that need loosening/tightening, when I struggle with opening malice clips on some of my Kydex holsters (the blade is thick enough to use to pry them open) and when I need to cut something such as loose threads, tape etc. It's really useful during weekender games and MilSims when I need to camp. I purchased my Gerber Crucial in grey from Amazon for £54.99, which is available here, but it does also come in another colour way – the black, which is currently on sale on Amazon for £35.00 here! This post contains affiliate links, as I am a member of the Amazon Associates Program - an affiliate advertising program that provides a means for me to earn fees by linking to Amazon.com to products I have used, tested, trust and recommend.